The Boys and Girls Club of Farmington’s mission to inspire and enable all young people, especially those that need us most, to realize their full potential as productive, responsible and caring citizens is evident in all activities and programs at the Club. Affiliated with the New Mexico Council of twenty one Boys & Girls Clubs and a nation-wide networking system of over 4,000 clubs serving over two and a half million youth, the Boys & Girls Club of Farmington has become an effective leader in the field of youth development work. Because of the hard work and financial support of many dedicated people, the Boys & Girls Club of Farmington continues to provide quality services just as it has since 1960. 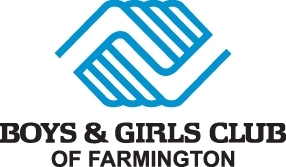 Boys & Girls Club of Farmington offers tested, proven, and nationally recognized programs in five core program areas. The programs are designed to be fun and engaging and to provide lessons and learning that will help members throughout their lives. The club serves over 2,600 youth ages 6-18 annually and over 450 daily.from diverse. Two club sites support access to club activities -- the main club at the corner of Sullivan and 20th and the Hilltop Unit in the Mesa Community. In collaboration with Farmington Municipal Schools, this year the club has three school-based 21st Century Community Learning Centers at Apache, Bluffview and McCormick Elementary Schools. the Boys & Girls Club of Farmington is evident in the many community and business leaders who count themselves as club kids. Joining with Aztec and Bloomfield Boys & Girls Clubs we are able to serve kids throughout San Juan County. To learn more about the Club visit our website at www.bgcfarmington.org or contact us for a tour at 505-327-6396. © 2019 American General Media, INC. San Luis Obispo Website Design by LIFTOFF Digital. All Macaroni & Cheese Festival events benefit a local non-profit in that market.